With our Year 5 at the moment we are working on fashion shows and looking carefully at adjectival position and agreement after the verb "to wear" and the conjugation of the verb- so we can describe fashion shows. And now what about Hats Away? It's nearly Easter and this will make a final grand hurrah to our work on verbs and adjectives linked to clothes, colours and more detailed descriptions.Let's make our own " hat written and spoken records"
Now let's take some talking photos- simplest form will be video or cam corder clips with the hat wearer speaking or Chatterpix if you can use APPS would be really effective. One creative step further with Hats away! 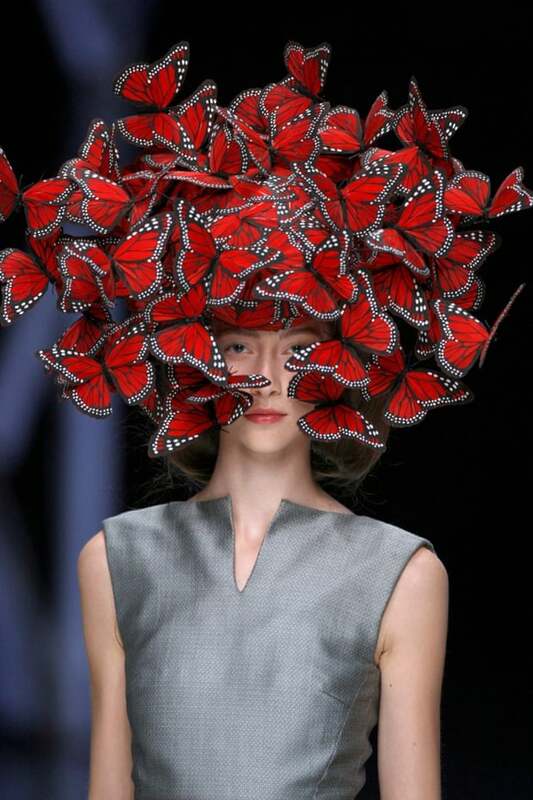 So why not give your fashion show a theme : "A madhatters tea party .... and then it really will be "Hats away!" Newer Post"Who are you?" and scarecrow caricatures of "I am....".